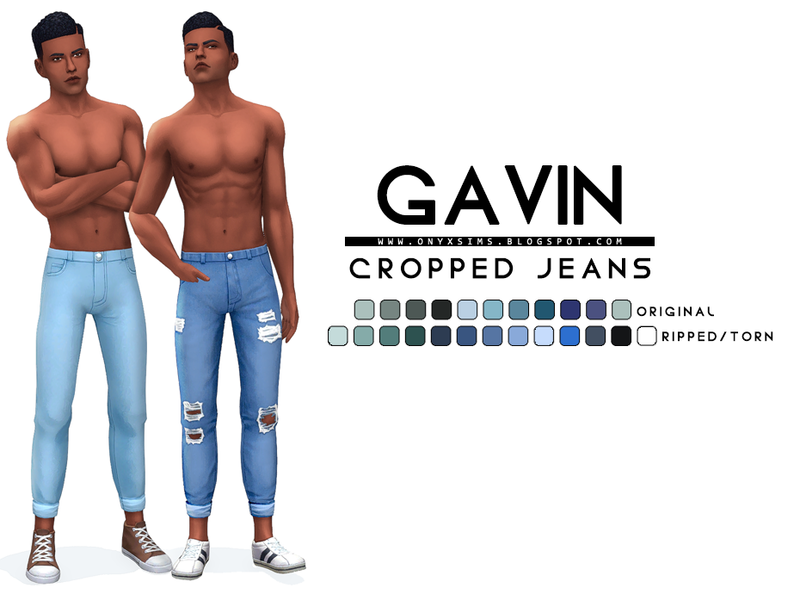 Another pair of jeans for your male sims, the version without holes is the original mesh and the rip/torn version are recolors. 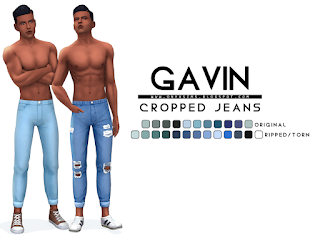 All LoDs replaced, disabled for random, opposite gender/frame and you can find them in the Jeans and Cropped sections of CaS. Psd included for both versions just in case anyone wants to make recolors. If you have any issues, please drop me an e-mail, thanks.